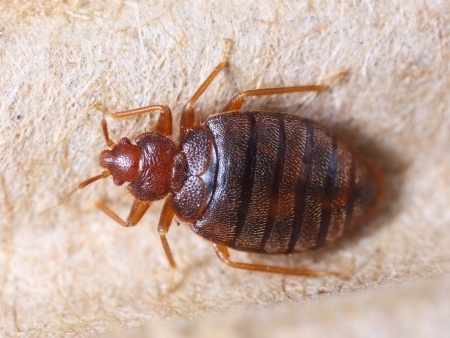 Bed bugs are small parasitic insects with oval shaped bodies, six legs and two antennae that feed solely on the blood of people and animals while they sleep. Their color will vary from light brown to dark reddish brown depending on their age and whether or not they recently have had a blood meal. They range in size from 1mm to 7mm and can live up to a year or longer without a blood meal. While pathogens have been found in bed bugs, they do not transmit diseases. Bed bug infestations have increased dramatically over the past few years. Anyone who travels is especially at high risk for bringing bed bugs home, no matter how nice of a hotel you stay at. They’ve also spread into public places, infesting schools, libraries, hospitals, movie theaters, cruise ships, buses, trains and more. Although they're called bed bugs, they don't just live in beds. We've found them in dressers, tables, night stands, under loose wallpaper, electrical switch plates, picture frames, behind baseboards and more. 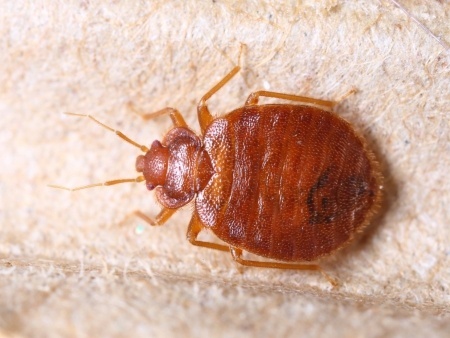 The presence of a bed bug infestation is not determined by the cleanliness of the living conditions. 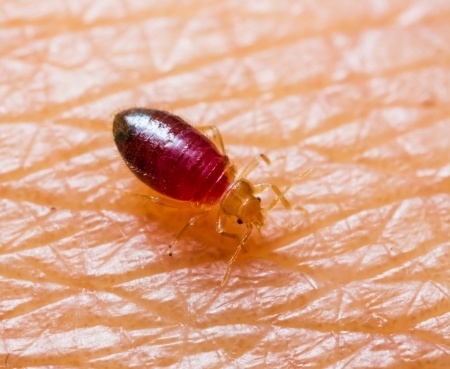 Bed bugs are easily transported from one location to another and can be very difficult to treat, resulting in a rapid growth in the number of infestations. One female bed bug can lay one to five eggs a day and 540 during her lifetime, so call today before a small problem becomes a big one. Our pest control technicians specialize in eliminating bed bugs from your home, trust the experts at Pestex Pest Control to solve your bed bug problem quickly and effectively. Carefully remove bedding from all mattresses and box springs. Place immediately in a large plastic garbage bag and immediately launder and dry at high temperatures. Bedding that can not be laundered should be placed in a dryer on medium to high heat for a minimum of 30 minutes to kill adult bed bugs and eggs. All clothing in closets, dressers, etc. should be placed in a dryer on medium to high for 30 minutes, and then placed into a new, sealed plastic bag. Store the sealed plastic bags outside of the treatment area if possible. Place all loose personal items into large plastic totes or cardboard boxes and keep them in room(s) to be treated. This includes any items on or in shelving, dressers, cabinets, etc. of the rooms to be treated. Medical equipment should be removed or covered with a plastic bag. The above preparation steps apply to all living/sleeping areas and items (e.g. bedroom, living room, upholstered furniture). Make arrangements for people and pets to be out of the treated areas for at least four hours after service is complete or until the material is dry. Purchase the necessary bed bug encasement. It will take up to two weeks for bed bug eggs to hatch. Please allow this amount of time for control to be achieved. Bed bugs can be reintroduced at any point during or after a bed bug service. Be very cautious about bringing used furniture and other items into your home as these may be infested with bed bugs. This process of preparation will need to be repeated prior to each service visit. A minimum of two services will be performed in your residence. Our bed bug service carries a 90 day warranty. If you would like for us to return for any reason during the warranty period, we are happy to do so at no additional cost to you.